The U.S. Census Bureau does not consider Hispanic identity to be a race. For example, a person might be of Hispanic heritage and also be black or white. The latest census estimates show the black population continues to shrink while the white population is growing slightly. Don Roe, executive director of planning and urban design for the city of St. Louis, said his office is worried about the latest estimates. "We don’t like to see the loss of any of our population," he said. "We’re very much concerned about the future. We’re concerned about attracting residents to the city. Today, tomorrow and the next day ahead." Sandoval said many Midwest cities are shrinking, losing residents of most races. The fact that the white population in St. Louis is growing, however, is fairly unique. 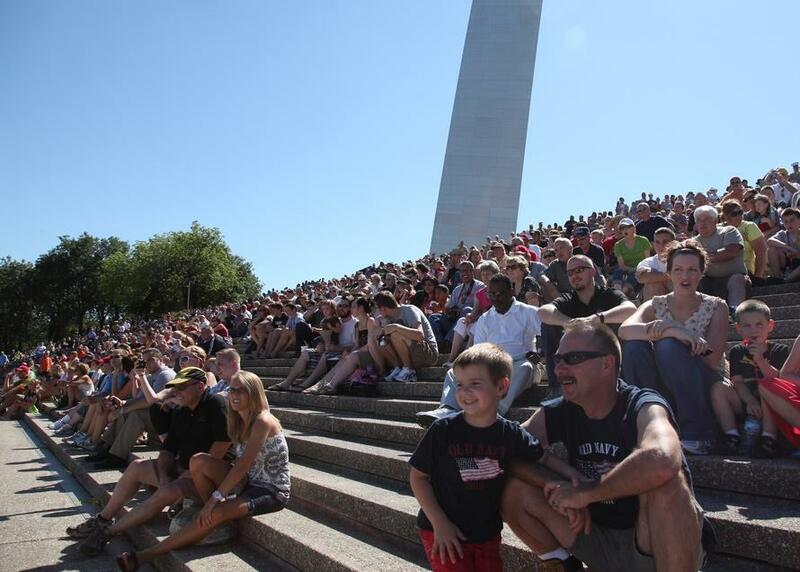 "We're starting to see an uptick in the number of white residents in the city of St. Louis," he said. "If that continues, it’s going to be a pretty historic moment. Because the white population has always declined in the city of St. Louis since 1940." The 2016-2017 census estimates show St. Louis residents who identify as non-Hispanic whites number about 135,000. Non-Hispanic black residents number about 143,000. Sandoval says if current population trends continue, white residents could outnumber black residents in the city by 2025. Sandoval said new white residents, many of whom do not have children, are attracted to the city for jobs and apartments along the central corridor of St. Louis. Development along the city arteries running from downtown through the Central West End is booming. Meanwhile, historically black neighborhoods have largely been ignored by investors. "A large part of this transition are black residents who are leaving for the suburbs," Sandoval said. "These are families who are leaving with their children." The U.S. Census Bureau develops its estimates with data from birth, death and migration records. The next census will take place in 2020. Roe would not speculate about why black residents are leaving St. Louis at increasing rates. He said where people live is largely a matter of "individual choice." Still, he said, the city knows it has work to do to keep residents and attract new ones. "On a daily basis we’re trying to do things in the city to improve the quality of life for our citizens: service delivery, public safety and dealing with vacancy. And we’re diligent about doing that," Roe said. Census data released in March showed the metro St. Louis region, which includes the city of St. Louis and 14 neighboring Missouri and Illinois counties, dropped to the 21st most populous metropolitan area in 2017. Baltimore replaced St. Louis in the 20th position. The estimates put the St.Louis metro area population at slightly more than 2.8 million as of July 2017. The region actually grew slightly from 2016 to 2017, but Baltimore gained more residents in the same period. Holly Edgell is lead editor for Sharing America, a collaborative covering the intersection of race, identity and culture. This new initiative, funded by the Corporation for Public Broadcasting, includes reporters in Hartford, St. Louis, Kansas City, and Portland, Oregon. Follow Holly on Twitter @hollyedgell.